Jonathon Prinz is a senior in Mechanical Engineering with a minor in International Engineering and Germanic Studies. After graduation, Jonathon is planning on working for UOP Honeywell as a mechanical engineer in Des Plaines, Illinois. He is planning on traveling the world after a study abroad experience in Germany last summer sparked his interest in other places and cultures. He wrote this blog post as a student enrolled in 418 ‘Language and Minorities in Europe’. When people think of Germany, many tend to think of the typical German stereotype: beer, pretzels, and lederhosen. While this is true in part, people usually never conjure up images of a nation of immigrants. This is because the textbook German identity is popular, yet is not a realistic depiction of what Germany actually is today. After the Second World War, Germany has seen an enormous increase in immigrants entering as guest workers from South/Southeastern Europe. More recently, many are coming from a variety of nations such as former Soviet Union, Romania, and Poland. These immigrants bring with them a multitude of languages, and these languages continue to thrive as second and third generations of these families are born. 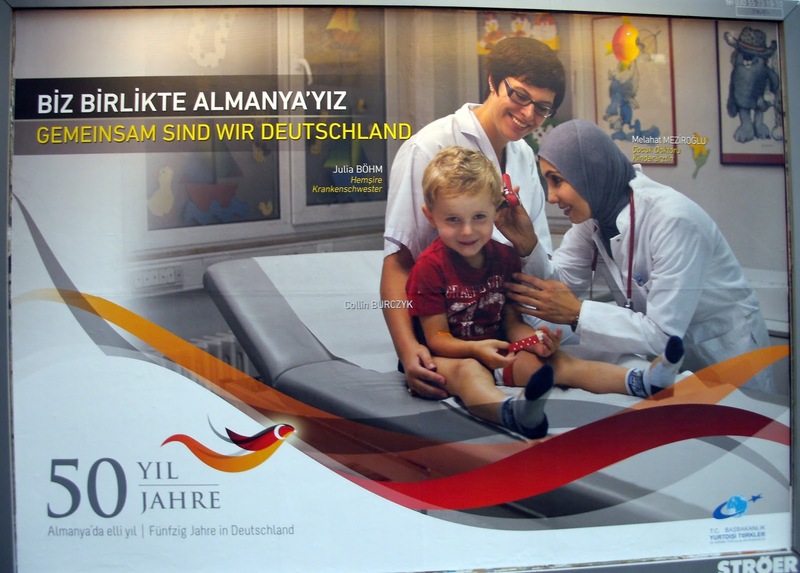 Among the most popular is Turkish, the language of approximately 1.5 million immigrants, which is more than all of the established minority or regional language population put together (Languages Across Europe: Germany). The minority and regional languages established in Germany are Upper & Lower Sorbian, North & South Frisian, Danish, Romani, and Low German. These languages are protected under the European Charter for Regional or Minority Languages (ECRML). Germany signed this charter on November 11th, 1992 and ratified it on September 16th, 1998. This made Germany the first state to ratify the Charter, which showed German’s enthusiasm for its regional or minority languages. Unfortunately, this enthusiasm has not yet been met for immigrant languages. It is important to establish the difference between regional or minority languages from immigrant languages. Regional or minority languages are protected and promoted within Germany under the ECRML. Germany has a Language Commissioner who is concerned with national minorities and also protecting and promoting the Low German Regional Language. There are federal structures in place for language policy by installing punctual interventions on the most relevant minority or regional languages (being the aforementioned languages) that, unfortunately, ignore the immigrant languages. On the other hand, immigrant languages, such as Turkish and Kurdish, are not considered working languages of institutions and are not supported by governmental agencies. This means if a Turkish-speaking individual were to go to German court, he/she would not have the right to speak in Turkish. Not everyone agrees with the CSU proposal and that even includes CSU’s sister party CDU. The public expressed its outrage through all sorts of media including Twitter with a variety of comments ranging from sarcastic to very harsh. The criticism worked though and CSU revised its proposal by instead suggesting immigrants should be encouraged to speak German at home. In true political form, CSU tried to explain their thinking behind the original motion. Andreas Scheuer, CSU’s general secretary, commented that this motion was to be put in place so immigrants can learn the language and properly enunciate themselves. According to an OCED survey, 17% of all people of immigrant origin speak or write in flawed German. Chancellor Angela Merkel believes that “Good German language skills are essential” but also that “it is highly beneficial if children have the opportunity to grow up bilingually” (Washington Post). One thing is for certain: tensions are high in an increasingly larger and larger immigrant population in Germany. These immigrants are annoyed with the political policies in place that are making it difficult for them to gain citizenship, which may even affect the son or daughter of an immigrant parent. It is understandable for Germany to want to preserve and promote its regional and minority languages, as these are a major part of its history and culture. However something must change in regards to attitude the country portrays towards languages used by Germans and immigrants like the Turkish. Once the tipping point of frustration is reached within the immigrant communities, the world will see the development a new German identity. What will this entail? 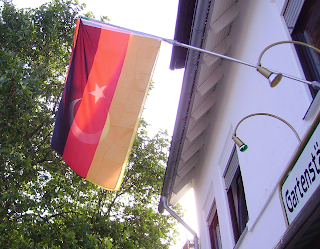 Most likely more and more bilingual schools, shops, and communities will pop up as immigrants gain more political power and implement policies that are more favorable to all communities living and working in Germany. Aleff, Hans-Jörg. 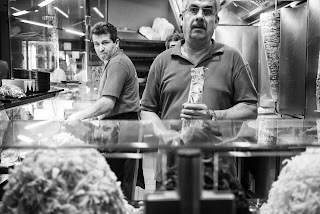 Döner. 2014. Berlin. Flickr. Web. 20 Apr. 2015. Knospe, Hans. United We Are Germany – In German and Turkish. 2010. Berlin. Flickr. Web. 20 Apr. 2015. "Germany Country Profile." BBC News. BBC, 25 Feb. 2015. Web. 30 Mar. 2015. 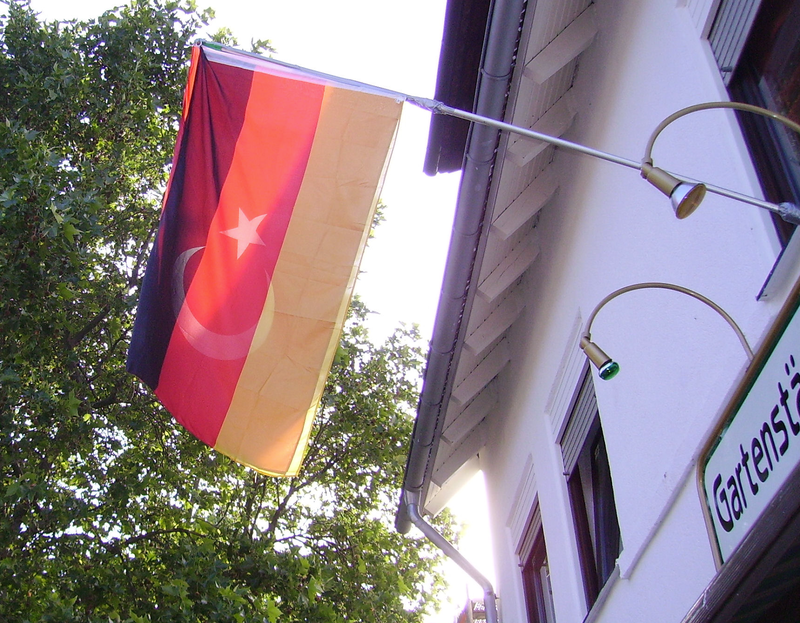 German Turkish Flag. N.d. Wikimedia. Web. 29 Mar. 2015. "Languages Across Europe: Germany." BBC News. BBC, n.d. Web. 30 Mar. 2015. Noack, Rick. “A German Political Party Wants Immigrants to Stop Speaking Foreign Languages-even at Home.” Washington Post. The Washington Post, 8 Dec. 2014. Web. 30 Mar. 2015.